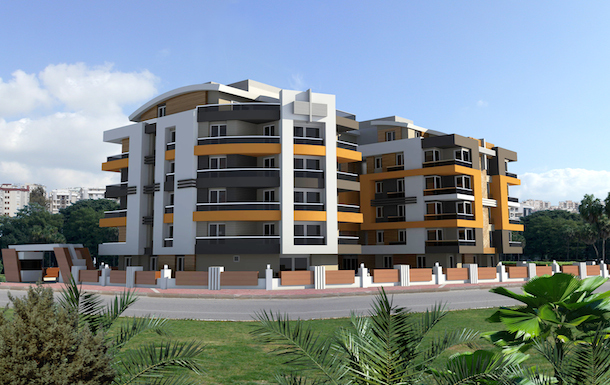 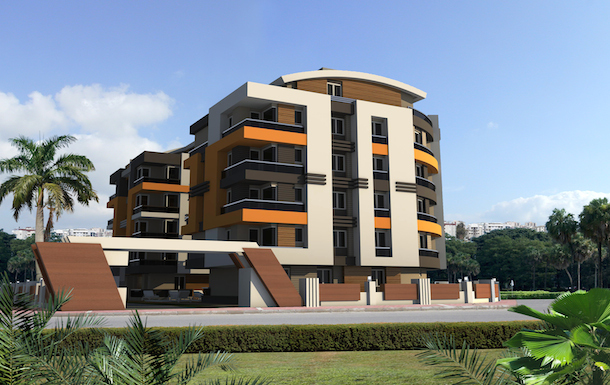 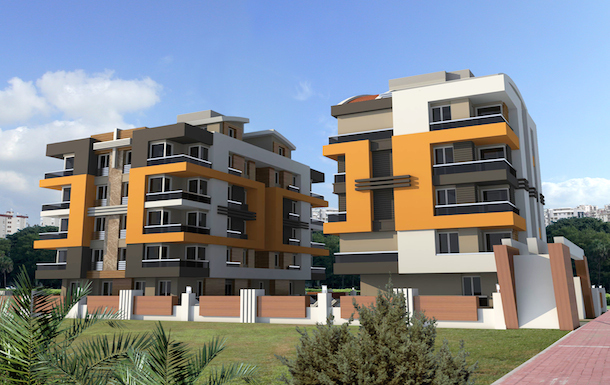 Duplex homes for sale in a compound in installments Konyaalti-Antalya/Turkey and it’s a fact that a residential complex is the place where your needs are accounted for, this project has a great view of the orange farms and the mountains. 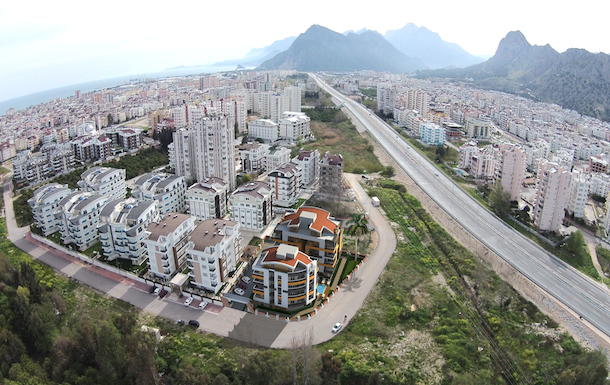 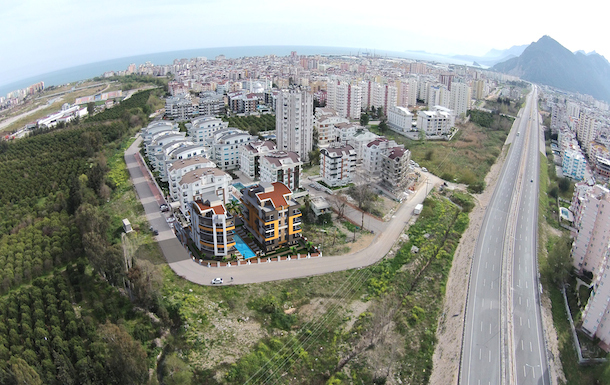 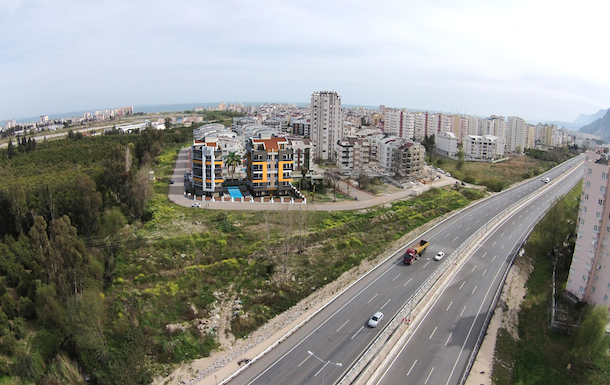 This complex is situated only 400 m to the famous Boğaçay marina project, 1,400 m to Konyaalti beach, 150 m to the grocery store and shops, 400 meters from the main street of Hurma which is characterized by the density of population, restaurants spread along it, as well as clinics and famous local Bazaar in the region on Tuesdays. 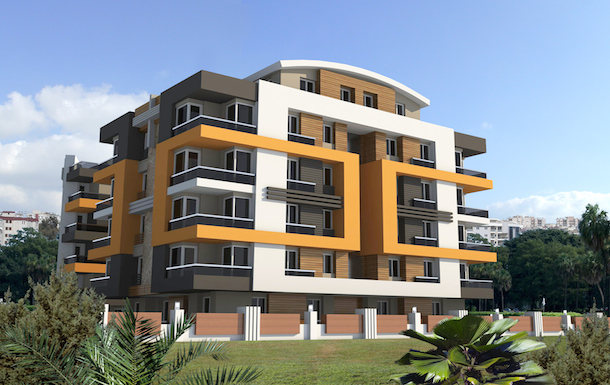 The complex consists of 2 blocks, total of 29 apartments with one-bedroom apartments on the ground floor, two bedrooms apartments on the middle floors and three bedrooms duplexes homes on the upper floors. 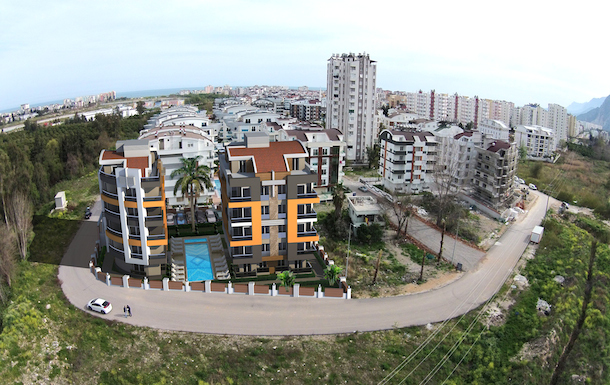 There is a swimming-pool, pool for children, car parking area, an alcove, fitness hall, sauna, elevator, thermal insulated roof covering, marble stair claddings, motion-sensitive common space illumination, central satellite system, Wi-Fi internet, a professional apartment manager within the territory of the residential complex to ensure your safety and comfort.